BelarusDigest > Politics > State-controlled think tanks in Belarus – who are they? In contrast to the few independent Belarusian thinks tanks, the state-controlled analytical research centres in Belarus benefit from a range of privileges. Benefits include the state’s institutional support and funding as well as lawful opportunities to engage with business organisations. Belarus Digest identifies the key Belarusian state-owned think tanks in the fields of international relations, economics, sociology and state security. Many of Belarus’s state-owned think tanks exist for the government’s use only. Governmental bodies such as the Council of Ministers frequently set the research objectives of these analytical centres for the years to come. The major problems faced by state-owned thinks-tanks include bureaucratisation, a lack of funding, and the decreasing capacities of their researchers. Several notable state think-tanks in the field of foreign relations operate in Belarus. The Information and Analytical Centre under the Presidential Administration of the Republic of Belarus (the IAC) provides regular analytical support to the president and his administration on foreign policy issues and reports trends in the foreign media. Since 2014 a lawyer, Alexei Derbin, has headed the IAC and the agency works closely with leading think-tanks in Russia and China in the field of foreign relations. The Centre for International Studies (CENTIS) operates as a joint initiative of the Belarusian State University and the Belarusian Ministry of Foreign Affairs. The major focus of CENTIS’s research agenda remains Belarusian foreign policy in the context of global and regional processes. CENTIS also publishes its online analytical journal called “Expertise”. 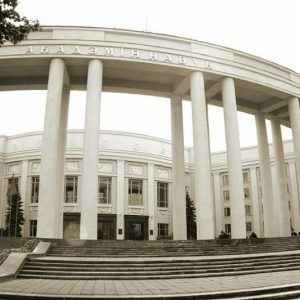 The Institute of Economics of the National Academy of Sciences of Belarus (NASB) remains the oldest and the most influential Belarusian economic think tank, functioning since 1931. At present, the institute employs approximately 150 people. It provides scientific support for governmental bodies over the implementation of different socio-economic policies. In 2017, the institute published a key four-part document titled “The Strategy of the Economic Development of Belarus: Challenges, Instruments, and Perspectives”. Valery Belski, a former advisor to the Eurasian Economic Commission, has headed the institute since 2016. The Centre for System Analysis and Strategic Research at the Academy of Sciences of Belarus also conducts socio-economic research. In 2017, the centre published 34 scientific articles, 50 theses, 5 monographs, and 5 textbooks. The centre also advises on the problems of economic cooperation between Belarus and Russia. 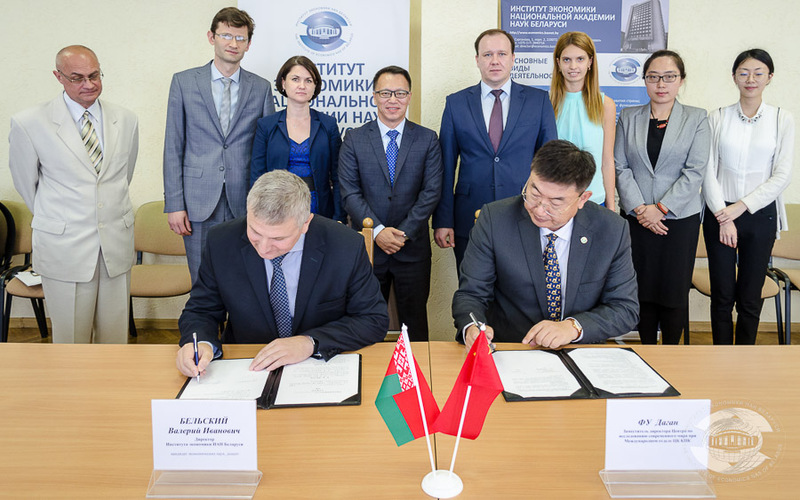 The Belarusian-Chinese Analytical Development Centre (BCADC) represents an example of a bilateral inter-state think-tank. The BCADC develops practical recommendations on the improvement of export-import relations and increasing bilateral Belarusian-Chinese investments. The BCADC advises governmental bodies in both Belarus and China directly. The Institute of Sociology of the National Academy of Sciences of Belarus stands out as the leading Belarusian state think-tank in the field of sociology. At present, the institute employs 67 people and comprises four centres and five departments. The wide scope of the institute’s activities includes regular monitoring of the socio-economic and political situation in Belarus, studying the electoral preferences of Belarusians during election campaigns, and carrying out marketing research. Currently, the institute supervises about 50 research projects. As for research publications, the Institute of Sociology publishes about 100 scientific articles, theses and reports annually. The Centre for Political and Social Studies of the Belarusian State University conducts sociological research for Belarusian commercial organisations and governmental bodies as well as for international organisations operating in Belarus. So far, the centre has conducted about 150 research projects. David Rotman, a prominent Belarusian sociologist, has served as the head of the centre since 1997. The European Commission, UNICEF and UNO list among the centre’s clients. 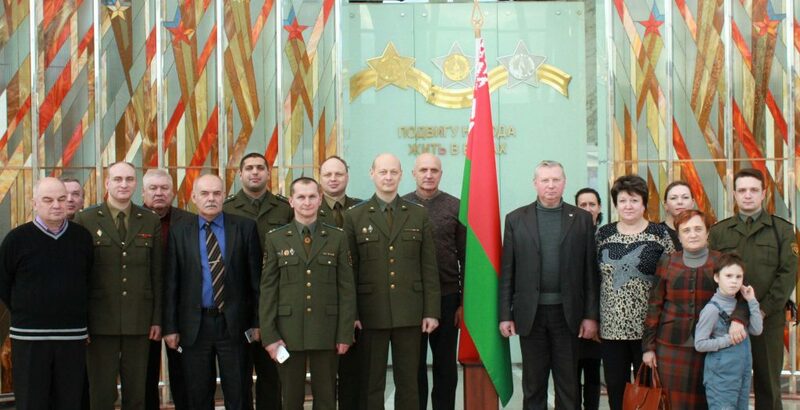 The Scientific Research Institute of the Armed Forces of the Republic of Belarus remains the key Belarusian state security think-tank. The institute prepares solutions to problems of Belarusian military security and the operation of the Belarusian armed forces. The institute actively collaborates with the defence ministry of the Russian Federation in the field of the military security of the Union State of Belarus and Russia. 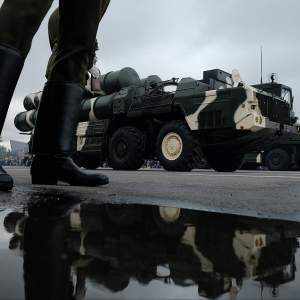 Apart from that, the institute cooperates with similar military institutions in Eastern Europe and with those of the Pan-Eurasian Collective Security Treaty Organization (mostly composed of the CIS states). The Centre for Foreign Policy and Security Study unites Belarusian researchers working in the state universities. The Centre works on problems related to European security. So far, the Centre has arranged several conferences on international security (including the place of NATO) in Minsk with the participation of European diplomats and experts. According to Piotr Piatrouski, a research fellow at the Insitute of Philosophy of the Belarusian National Academy of Sciences, unlike independent think-tanks, the Belarusian state analytical research centres exude substantial influence on the state’s policies. 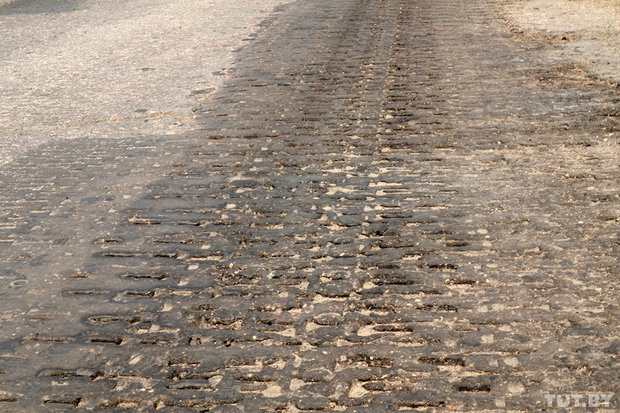 Since they receive concrete research tasks from the government, they work on specific point-to-point proposals and solutions. The National Centre for Legislation and Legal Research then transforms their solutions into draft legislative acts, such as laws and decrees. Apart from that, such state research centres as the Institute for Philosophy and the Institute of History, conduct various sorts of expertise at the request of the Belarusian Internal Ministry. As the Belarusian government remains the major employer of these state-owned research centres, a significant amount of their research is exclusively for government use and unavailable to the public. At the same time, as Piatrouski mentions, the state think tanks freely cooperate with business organisations and participate in international research programmes. Moreover, these analytical centres publish parts of their research in open sources, both nationally and internationally. However, the scope of their international publications largely stays within the Russian-speaking academic space due to the lack of the English-language publications. According to Piatrouski, despite their governmental backing, Belarusian state research centres face several problems. First, Belarus still spends an insufficient amount of GDP on research and development programmes. While Russia assigned 1.1 % of its GDP on R&D in 2016, Belarus assigned merely 0.5% of its GDP on R&D. Second, excessive bureaucratisation combined with academic formalism negatively affects the performance of the state’s think-tanks. Third, the education level of incoming researchers lags behind their predecessors, partly attributed to the general decline in education levels in Belarus. To sum up, the Belarusian state research centres remain rather self-contained despite their existing cooperation networks. In part, this state of affairs results from the authoritarian character of the Belarusian regime and the secret nature of many research programs.